My father, who fought as an infantryman in World War II and won the Silver Star, Bronze Star and several Purple Hearts, said that the Combat Infantryman’s Badge was truly special. 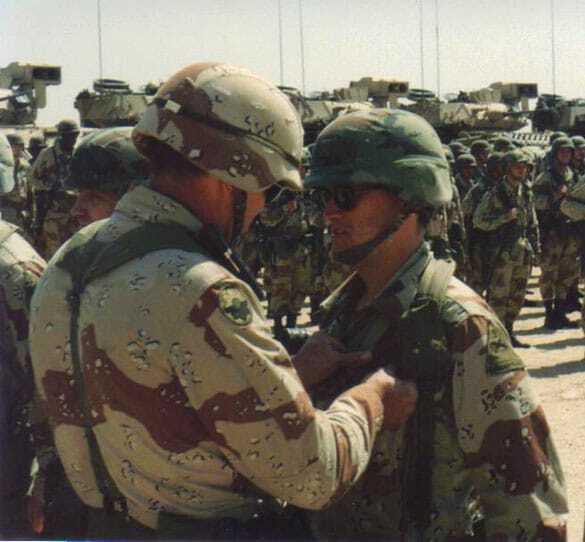 Major MacLean received his own CIB after the combat had ended on “Desert Storm.” Here, Brigadier General Paul Blackwell, the 3rd Armored Division’s senior Infantry officer and Assistant Division Commander, pins on the award. He was a huge Clemson fan.